Junior midfielder Dominique Masters shields off defenders. The Cats will look to break through against a tough Michigan defense on Friday when they debut the new Lakeside Field. The past few weeks haven’t been easy for the Wildcats, who are now preparing to face their third-straight ranked opponent. No. 16 Northwestern (9-4, 2-2 Big Ten) first shut out then-No. 16 Iowa two weeks ago but followed the win with a grueling overtime loss to No. 5 Stanford the following week. The Cats’ loss knocked the team down two spots in the NHFCA rankings. Now, NU has a chance to redeem itself with a home matchup versus rival No. 14 Michigan. Friday’s matchup will feature the Cats and the surging Wolverines (11-3, 4-1) at the new Lakeside Field. Michigan has won five-straight games including wins over Stanford and Indiana, to whom NU previously lost. Cats junior forward and leading scorer Isabel Flens said despite the recent tough loss the team’s morale remains high. She said the team had a bonding activity Tuesday to help bring the players together. The Wolverines have shut out four of their last five opponents and conceded only one goal during that span. Meanwhile, the Cats have struggled in recent games with capitalizing on their opportunities. Flens said to combat the stingy Michigan defense, NU worked on its press all week to apply more pressure to the backs and to get the ball to its shooters. 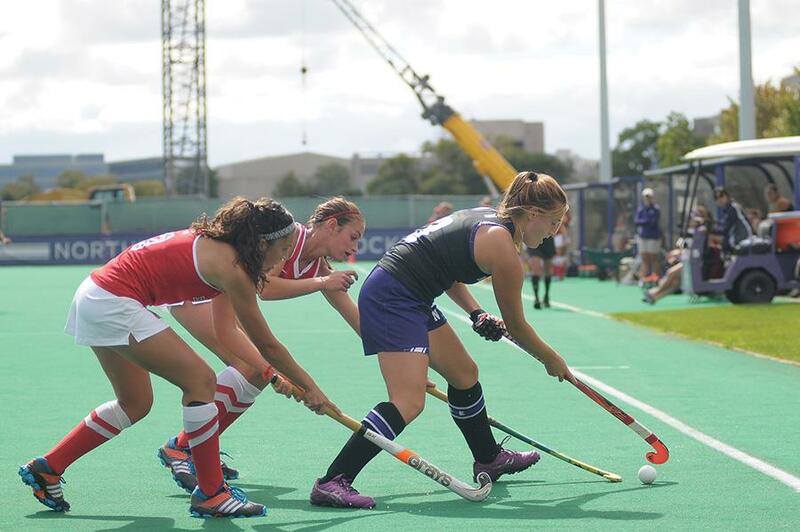 NU scored both of its goals versus Stanford off of penalty corners. The Cats generated opportunities and attempted 15 shots — 11 of which came from penalty corners. Senior midfielder Charlotte Martin assisted both of the Cats goals against Stanford, and she said penalty corners will play an important role in the Michigan game as well. Coach Tracey Fuchs said the team is well rested for its game Friday after not having a game Sunday. She said the game will be a battle between two Big Ten teams, but the Cats are up to the challenge.